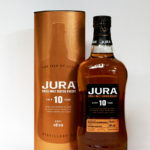 Jura 10 Year Old is matured in American White Oak ex-bourbon barrels with an aged Oloroso Sherry cask finish. 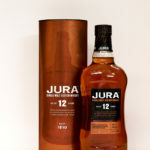 Jura 12 Years Old is matured in American White Oak ex-bourbon barrels with an aged Oloroso Sherry cask finish. 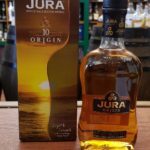 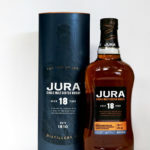 This Jura is matured for 18 years in American White Oak ex-bourbon barrels and enriched by superior Premier Grand Cru Classé Bordeaux barrels. 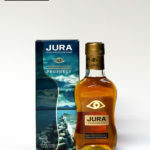 This jura has been matured in American white oak ex-Bourbon barrels. 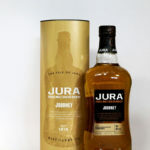 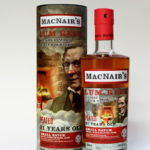 The whisky is described as being a refined balance of rich fruit and gently smoky notes. 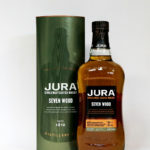 Jura Seven Wood has been shaped by seven separate Oak woods: first-fill ex-bourbon American White Oak, Vosges, Bertranges, Jupilles, Allier, Tronçais & Limousin barrels.